Kingswood are the local agent that can provide an extensive range of independent property services all under one roof. As agents we appreciate that buying, selling or renting a property is one of the biggest decisions that is made and every seller, purchaser, landlord and tenant has individual requirements and needs. Combining 65 years of genuine local knowledge, understanding, principles and expertise with approachable family values, our aim is to best serve all clients with our full understanding, enthusiastic and friendly approach. Our members of staff are customer focused and whether you are buying or selling, renting or letting, or you require mortgage and financial services, you can be assured of an efficient and highly experienced response in the busiest and quietest of markets. As well as having excellent local knowledge and being recognised and respected in the local communities, we are proud to have developed enviable long-term relationships with local people, charities and school sponsorships. 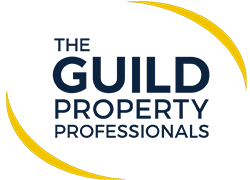 We not only use our local knowledge when discussing and advising on property we are also proud to be a part of, The National Association of Estate Agents (NAEA), The Property Ombudsman and The Guild of Property Professionals that has associated offices including Park Lane in London.